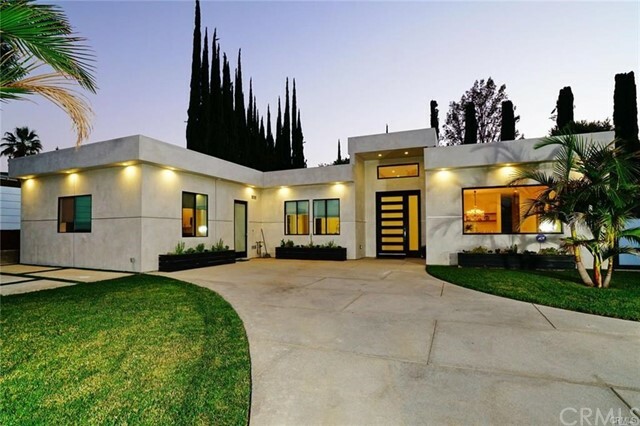 All Tarzana homes currently listed for sale in Tarzana as of 04/19/2019 are shown below. You can change the search criteria at any time by pressing the 'Change Search' button below. "Welcome to this Magnificent Contemporary Showplace sited at the end of a small cul-de-sac in an area popular with celebrities! Fully updated with no details overlooked, and immaculate! Multiple levels with 3 distinctly different living areas. Great Room flows through a folding door system to a huge covered Outdoor Patio Deck. Pool/Spa/Fire Pit. Hillside and Lights Views. RARE Lighted Sports Court. Fabulous Kitchen features Miele Double door Fridge, Viking 6 Burner Range w/Griddle, Hi-Line S/S Appliances, Ultra-Custom Counters and Cabinetry. 3 Custom Fireplaces. Wet Bar with Wine Cellar that includes an over 60 bottle wine cooler. Master Suite with Steam Shower in Bath, and large sitting area. Office with Built-In Cabinets & Desk. Hardwood and Slate Flooring. Secondary Baths all Beautifully Updated. Whole House Smart System for Safety and Convenience. Fully Finished 3 Car Garage with Abundant Storage, and Beautiful Glass Doors. Several Private Decks and Walkways on the Premises. Premium Decorator Fixtures and Current Color Finishes complete this One-of-a-Kind Home. DO NOT MISS this one, it is SPECTACULAR!!!" 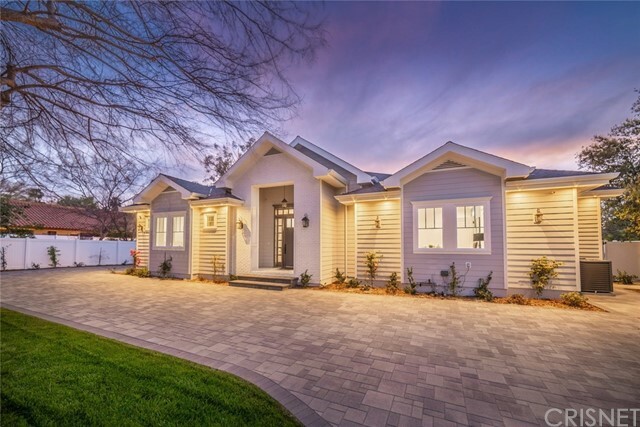 "Rare ONE STORY Nantucket Cape Cod Masterpiece With A Circular Driveway Nestled Behind Gates In Prime Tarzana! Just A Quick Drive To Restaurants, Shopping, Entertainment and Much More. Soaring High Ceilings & Free-Flow Open Layout Welcomes The Pickiest Of Buyers. Dont Miss The Dream Kitchen Complete W/ Top Of The Line Appliances, Center Island And Spacious Walk-In Pantry. All 5 Bedrooms Feel Like Masters With Walk-In Closets, Each With Their Own Private Baths. The Grand Master Suite Is Truly One Of A kind With Designer Craftsmanship And Fantastic Attention To Detail Throughout. Enjoy Direct Access To A Private Outdoor Patio/Lounge Surrounding The Fireplace. The Master Also Features A Sitting Area, Stunning Ensuite Bathroom & Massive Walk-In Closet. You Will Also Find A Fully Integrated Smart Home System, Wet bar, Spectacular Family Room Accented By An Indoor/Outdoor Entertainment Area. This ONE Story Beauty Also Boasts A Spacious Dining Room & And Opens To The Formal Living oom. Situated Beautifully on a 16,755 Flat Lot, The Backyard with a Sparkling Pool/Spa and Outdoor BBQ with Plenty of Seating for your Guests. Dont Miss It!" 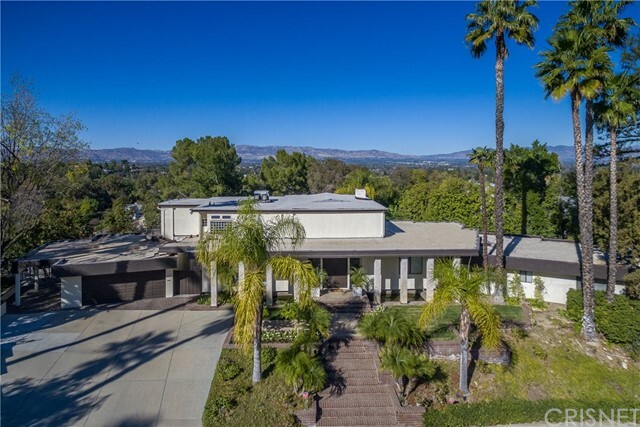 "This custom expansive Architectural Contemporary w/Valley Views is located on a cul-de-sac on over a 1/2 Acre of lush landscaped grounds. Entering past the Koi Pond, double doors lead to a 2 story marble foyer welcoming you w/Walls of Windows showcasing the fabulous Views. The main level includes a Formal Living Rm w/Beamed Ceilings & a stack-stoned floor-to-ceiling Fireplace, while the Library w/Fireplace & a dedicated Office have 9 ft Ceilings & specially designed wood file drawers & cabinets. 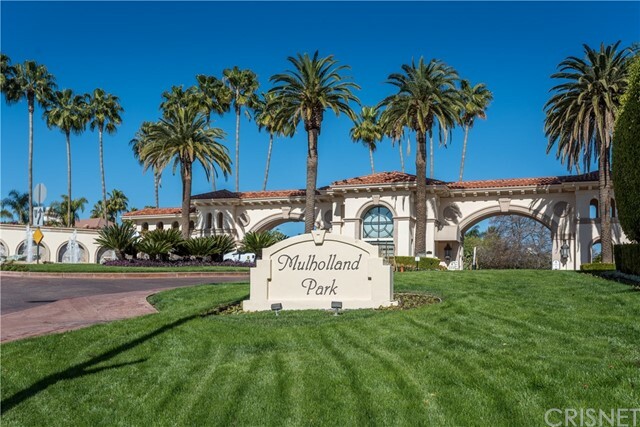 The Formal Dining Rm w/custom wallpaper & built-ins leads to the freshly painted, Center Island Granite Kitchen w/4 Ovens, Subzero Refrigerator, Freezer & a Breakfast Room w/a large Balcony overlooking the greenery. The Gst/Maid's Quarters are located off the Kitchen near the Laundry Rm w/storage & the direct access 2 car Garage w/an epoxy floor. The stylish Powder Room, 5 other secondary Bedrooms, including 1 Guest Suite & 2 Jack & Jill Baths complete the main level. Upstairs the Master Suite w/its own double door entry, built-ins, Plantation Shutters, dual Walk-in Closets, Soffit lighting, Balcony & fabulous Views compliments the sumptuous marble Bath w/separate Spa Tub, extra-large Shower, dual Sinks, dressing Table & a Water Closet. 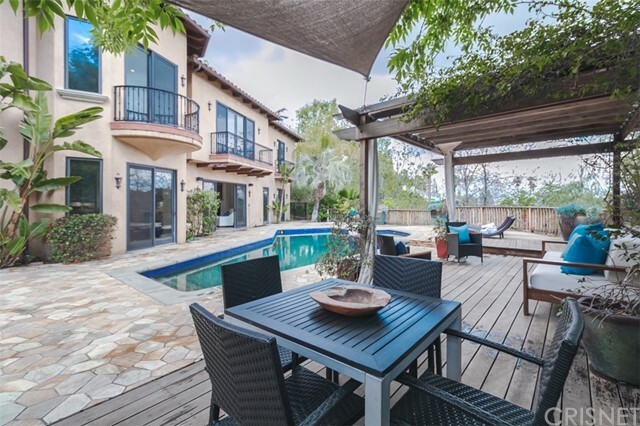 The bottom level contains 2 Recreation/Game Areas w/a pass through Wet Bar, Fireplace, Pool Bathroom & Walls of Windows/Sliding Glass Doors leads to the mature landscaping, a pergola covered-conversation Area, Patio, sparking Pool & a gated Play Area."